The Kodagu region, often referred to as Coorg (the English version of its name), is an extremely picturesque and alluring mountainous area in southern Karnataka, not far from Bangalore and Mysore. It's separated from Kerala by the Brahmagiri range. Coorg is one of the top travel destinations in Karnataka, and has particular appeal for nature lovers and those wanting to enjoy the great outdoors. These places to visit in Coorg are all popular attractions. However, you'll need your own transport as they're spread out all over the region. 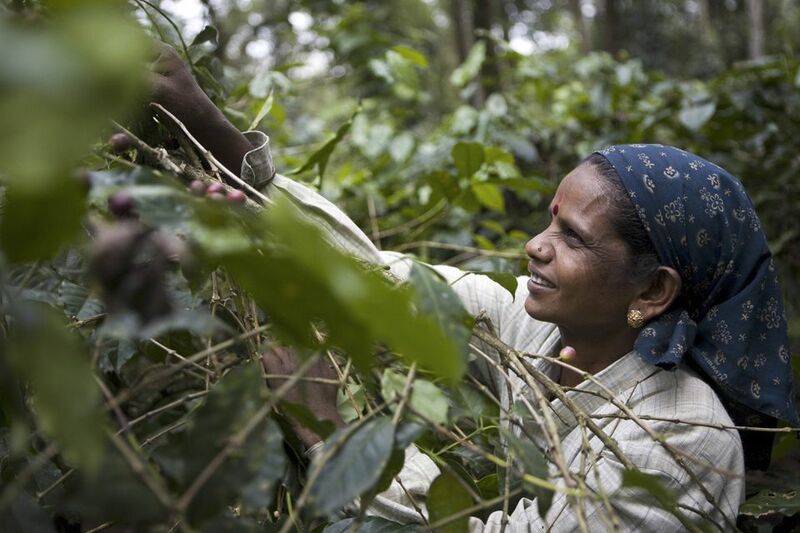 Coorg is renowned for its coffee plantations, which contribute around 60% of India's coffee production. It also has plentiful teak, rosewood, and sandalwood forests. The best way to experience the coffee plantations is to stay at one of the many homestays and resorts that are situated on coffee estates. Alternatively, join this popular coffee plantation group tour. You'll be able to walk through the plantations, as well as sample fresh coffee and learn about the coffee making process. It's fascinating! Abbey Falls and Irupu Falls are two of the biggest waterfalls in the Coorg region. They're best viewed just after the monsoon season but have cascading water all year around. Abbey Falls, located about 15 minutes north of Madikeri, is most accessible. In the other direction, Irupu Falls is nearly two hours south of Madikeri and an hour from Nagarhole National Park. Many people prefer Irupu Falls to Abbey Falls, and it can be followed with a scenic drive through Nagarhole to Bangalore. The area around Irupu Falls is abundant with butterflies in peak season, after the monsoon. Perfect for hiking, the Coorg region has some enticing peaks and valleys. One of the most popular routes is from Kakkabe to Thadiyandamol, the state's highest peak. Allow at least five hours for this hike. Many people also enjoy trekking from the Brahmagiri range, starting from Virajpet, to Irupu Falls. It's an arduous hike though, through dense jungle. Hiking to Mandalpatti is commonly combined with a visit to Abbey Falls. It's the most popular hike in the Pushpagiri forest range. Most Coorg homestays and resorts offer hiking and trekking activities. Thrillophilia also offer a one day Mandalpatti trek and two day Thadiyandamol trek. Dubare Elephant Camp is an elephant training camp operated by the Karnataka government. You'll be able to learn all about elephants, ride them, and even scrub them while they're being bathed in the river. The camp is open daily from 9 a.m. to 11 a.m. and 4.30 p.m. to 5.30 p.m. The elephants are located on an island within the camp and it's necessary to take a boat to get there. Hence, if you want to experience the bathing try to arrive as early as possible, preferably by 9 a.m. However, do be aware that this is a government establishment so don't expect good infrastructure or for it to be well organized. Furthermore, Dubare is a training camp, not a sanctuary or rehabilitation center. Those who are concerned about the treatment of elephants are advised to avoid visiting it, as the elephants do get chained up and disciplined. It's possible to stay at one of the cottages at the camp. The camp is located just off State Highway 91, near Kushalnagar, about an hour east of Madikeri. One of the must-see Buddhist monasteries in India, this monastery is home to one of the largest Tibetan settlements in India. The amount of gold in the prayer hall and temple is quite overwhelming, as too are the immense gold statues of Buddha. It's located in Bylakuppe, near Kushalnagar. Do note that visitors require a Protected Area Permit to stay within the monastery as the area is restricted. However, day trips are allowed. Bring your passport or other suitable identification. If you fancy doing some sightseeing around Madikeri town, Raja's Seat is the most popular tourist attraction there. This garden spot was apparently a favorite of the Kings of Kodagu. The best thing about Raja's Seat is that it offers superb sunsets and panoramic views across the valley, all the way to Kerala. However, if you want peace and quiet, it's best to go in the morning. People flock there in the evenings. Madikeri also has an old fort and palace. Most of the palace has been turned into government offices though. A small part has been opened as a rather unappealing museum.